In the final artwork, a white border surrounds the painting, and leaves appear to fly outside the edges of the picture and onto the border area. To create that effect, your first step is to create the border. 1 In the toolbox, make sure that the background color is white. Then choose Image > Canvas Size. 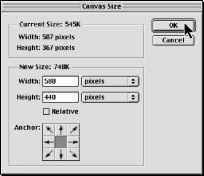 2 In the Canvas Size dialog box, type 580 as the Width and select pixels from the units pop-up menu. Then type 440 as the Height and set those units also to pixels, and click OK.
3 On the Color palette, select a dark, warm yellow, such as R= 185, G=141, B=59. This will be the base color for the autumn leaves you'll add. You're now ready to start painting your leaves. Make sure that your Leaves 65 brush is still selected in the Brushes palette and that the tool options bar shows Normal as the Mode option and Opacity at 100%. 4 Drag the Leaves 65 brush in a gentle arc from the tips of the tree branches to the right, letting the stroke wander into the top border and onto the border on the right side. Refer to the 08End.psd file as a guide. 5 If you are not satisfied with the result, choose Edit > Undo, and try again. Because brush Scatter settings are designed to create random patterns, each brush stroke produces slightly different results. It may take several tries before you get a pattern that you like. 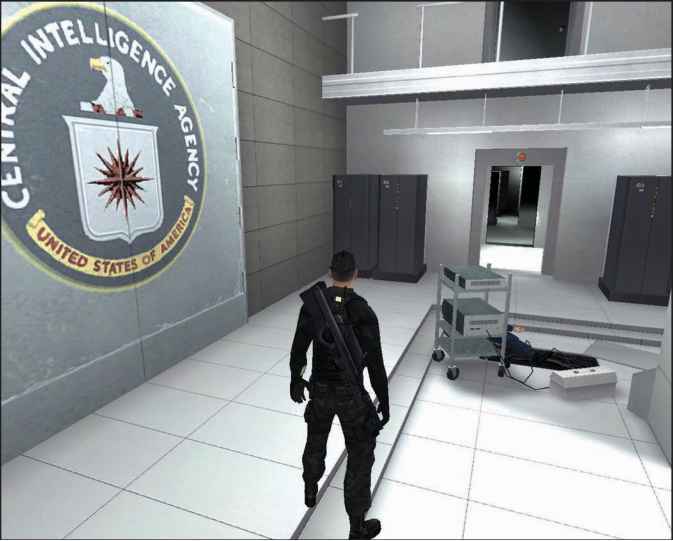 Remember that you can use either the Undo command or the History palette to backtrack through these attempts. To save some results of the painting as potential candidates, use the History palette to take a snapshot of the image and then revert to an earlier state. Try painting again from that state to see if you can improve on your results. By taking snapshots of a series of attempts, you can compare them and select the one you like best as the basis for the remaining work in this lesson. 6 When you get the results you want, choose File > Save.